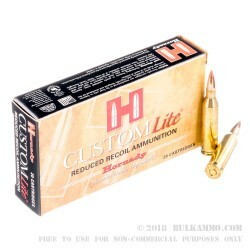 Hornady’s Custom Lite line of ammunition was designed with women and kids in mind—or for anyone looking for less kick. 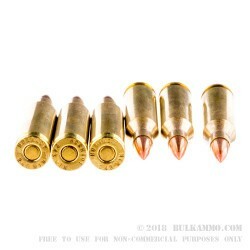 Its reduced recoil load allows for more time at the range or in the field and are great for petite people or new shooters. 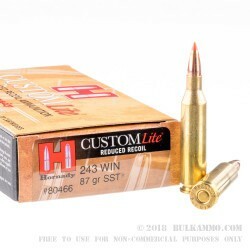 This .243 Winchester round features Hornady’s Super Shok Tip and is a polymer-tipped projectile with a boat-tail design. The projectile also features their innovative Interlock Ring which keeps the jacket and core together for maximal weight retention and expansion after impact and makes it ideal for medium sized game. 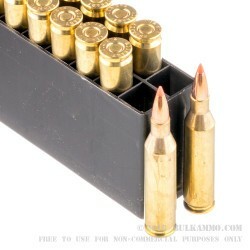 Loaded with an 87-grain projectile into boxer-primed, noncorrosive, reloadable brass cases, these rounds are capable of a muzzle velocity of 2800 FPS and are packaged with 20 rounds in each box. At the forefront of ammunition technology, Hornady has become a world leader in ammunition production. Originally specializing in reloading supplies, Hornady has become an American ammunition institution, producing some of the most reliable and accurate ammunition available today.